“Don’t judge a book by its cover” is a popular adage, but unfortunately it doesn’t go well with websites in today’s digital, search engine dominated world. When clients approach Website KLUB for a website design, they could broadly be classified into two groups – People who have no clue about web design, and those who have already burnt their hands ( and maybe a hole in their pockets) by investing in a website that didn’t work. If you belong to the first group, please do me a favor and go through Essentials of a great website instead of reading further. You may come back to this article on commandments you have to adhere to once you have read the bible mentioned above. For the second group, let me be brutally honest – what you are going to read now is plain common sense, but because it has been so common and always in plain sight, that overlooking it came only naturally to you! I can assure you that every sentence you read from now on – is plain common sense no matter how corny it sounds. To all those disillusioned by their heavy, feature loaded websites that had cost a bomb and promised the moon in return but didn’t bring back a penny’s worth of real business- let’s begin some S(E)OUL searching. Before I sound any cornier – let’s check out how you are viewed by our team of experts. When you visit us to evaluate your website instead of redesigning a new one, we know that you have had a bad experience in past. Either the website that you got designed didn’t do the job it was meant to do, or it was way too different than what you wanted it to be. In any case, you paid money, and if it could be repaired at even a fraction of a cost of getting an altogether new website, we can always recycle it, right? The thing with websites is- it’s not only the money invested already that’s at stake. You have got a domain name, a hosting package, maybe your entire online brand equity resting on that single mumbo-jumbo of bits and bytes. It’s like a home. You are supposed to be living in it, thriving and enjoying it, not wasting your time, energy, and most importantly- money- on revamping and redoing it. Here is what I feel most clients who come to us with a website have got it wrong. I have explored the pros and cons of various content management software platforms in a separate blog here, and you can easily see why we at Website Klub are WordPress Ninjas in every way possible. If you have chosen any other platform, my suggestion to you would be to brace up for another expense and go for a brand new WordPress (or another up-to-date) theme for your business. This investment would be totally worth it! 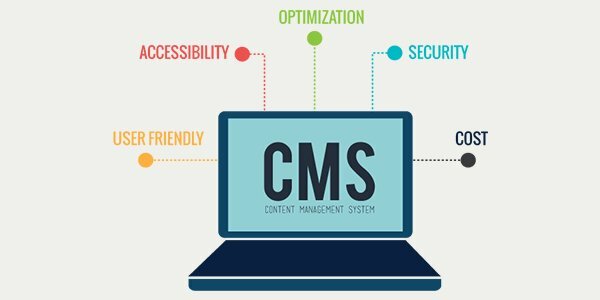 None of the CMS platforms are as search engine friendly as WordPress, which allows you to optimize each page of your website separately. Whats more, your blogs and fresh content is reported to Google every time you update it. You know about your business. But does your customer also refer to your business the same way? Are you just a part of fitness industry or you are a Yoga Trainer? 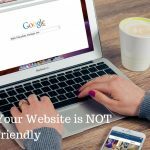 You may call yourself a lifestyle expert, a life changer or anything fancy, because it is your website, and you can say anything you deem right. While I am writing this, there were more than 1,630,385,428 searches worldwide till now, and the ticker is moving like crazy! 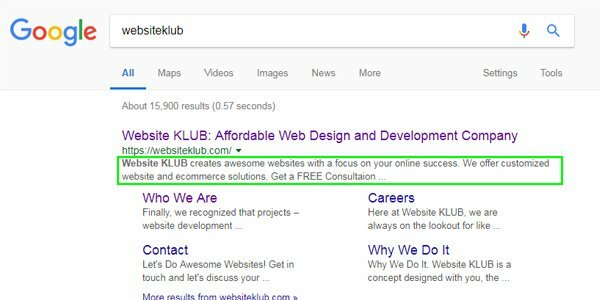 If you want the search engine bots to read and figure out what your page is all about, you have to highlight it smartly. 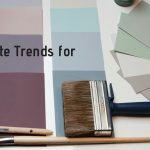 Usage of keywords, smart sentences, highlighted text, all helps instead of creating a text wall which no search-bot will be ready to crawl up to and will relegate your website to maybe 5th or 10th page of the search results. 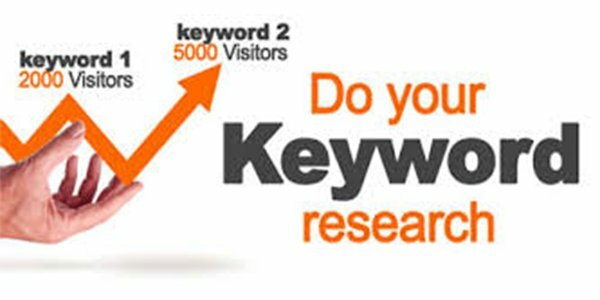 I talk about how to do keyword research in my blog- Raise a Toast to Yoast here. I will not get into jargons. SEO titles are simply the titles for the pages of your website. The meta description is the way your page is described in the search engine results page (SERP). Here is an example of how Website KLUB’s page appears in search. Look at the way all the pages have an eye-catching title along with some description with all the right keywords. Now isn’t it a sight(site) to behold? You can’t post anything for 6 months and expect your website to be on the first page of search engine data. You can neither post 20 posts in a day and cross your fingers that you will appear on top. 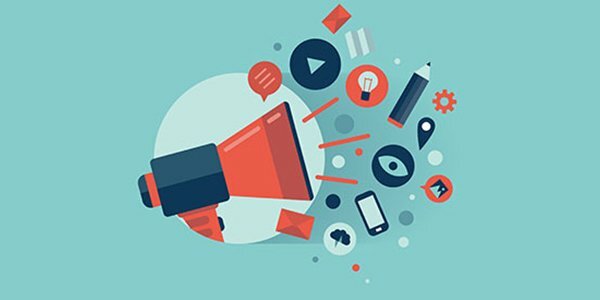 There has to be a steady stream of original, engaging content that makes your website a valuable resource for clients to visit again and again, and it also helps you drive traffic through search engines like Google. Remember to use keywords. Consider the thought process flow of your typical website user. What do they do when they enter your website? What is the last thing they do when the exit? Do they click where you want them to? Do they find what they were looking for? Is there any way they can get in touch with you if they don’t find what they were looking for? 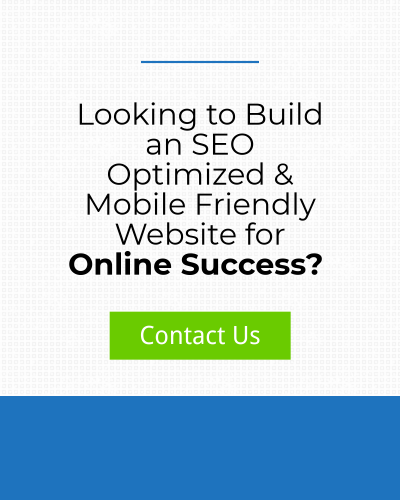 Do they find what they came to find or left your website in frustration? And this brings me to point no 6. Instead of gently guiding visitors into action, your website has too many things going on at the same time. It has too many features, lots of pop-ups, and cluttered text and useless buttons. A form here, an offer there, different layouts for all pages with no common thread linking each other, like a hurriedly put -together magazine that covers everything in general but nothing in particular. 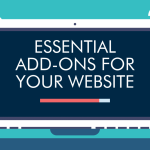 Instead of a simple and clean look, your website is a jumbled up gimmicky mish-mash of your designers over-enthusiasm and your inability to cut through the clutter and stay close to-the-point. Kissmetrics says that around 40% of users tend to abandon your website if it takes more than 3 seconds to load. This simply means that almost 50% of potential ROI is wasted because your site took too long to load. If users abandon your website midway, search engines perceive it negatively and it reflects on your SEO rankings. We suggest our clients a speed test with the help of tools like Pingdom or GTmetrix. 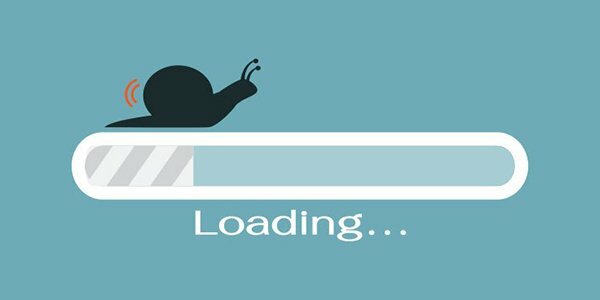 The speed of your website is directly affected by your web host, if you tried to cut corners there, it will affect the site’s speed, if you chose a poor performing theme, it will affect the stability and functionality. If you have too many images and videos without compatible plug-ins, you are in for a sluggish website. Today, every business- whether big or small, needs to establish and build a social media presence. 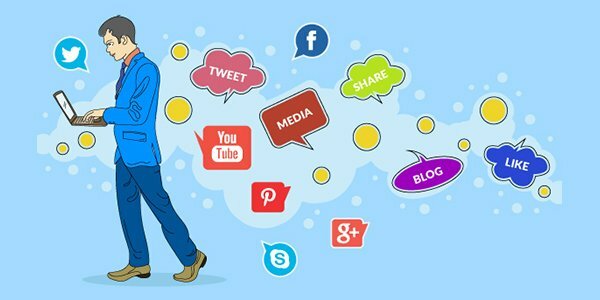 You are required to use social media posts to direct meaningful traffic to your website. Search engines pick up the social “signals” from platforms like Facebook, Twitter, and almost every other network as part of the ranking system. If your web design didn’t have social media integration, you are losing out on your audience on social media who might like, share and enrich your website’s penetration in the right segments. The other aspect of this is that people should be able to move freely in between various social media platforms while going through your website. It’s like a thoroughfare, should be done right. Using social media listening tools like Google Alerts, Sproutsocial or Hootsuite helps you check the social media presence by sharing mentions of your brand or your website. You have a superb website and a considerable online marketing budget, then who needs third party listings? Lists like Google Business, Angie’s list, Yellow Pages, Home Advisory etc. are not just for listing your business, they also come in handy for people who want to match your claims on your website with independent client reviews. 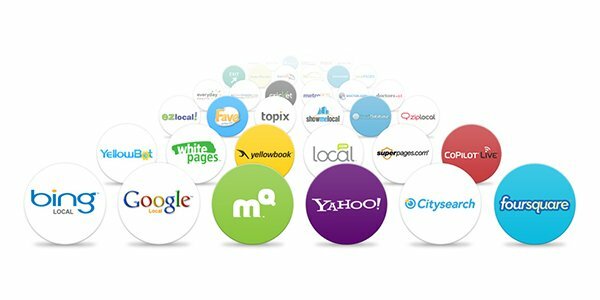 All the reviews, sharing of your website address by potential clients, is part of SEO ranking process. If you want leads, traffic, and conversion, you have got to get down from your ivory tower and get listed on various online directories and resources. The awesome content on your website is of no use if search engines like Google are unable to discover your website and acknowledge the relevance of its content. 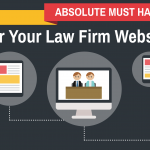 To do that you need to have links to your website from other authoritative sites. It could be a guest blog series on some popular website or social media platform where the link to your website is shared. You are in a way using the online reach of some popular sites to gain some organic traffic for your own site. The quality content on your website could also be an attraction point for bloggers and influencers not related to you, who would be only too happy to backlink it to your website if you follow them and pursue. 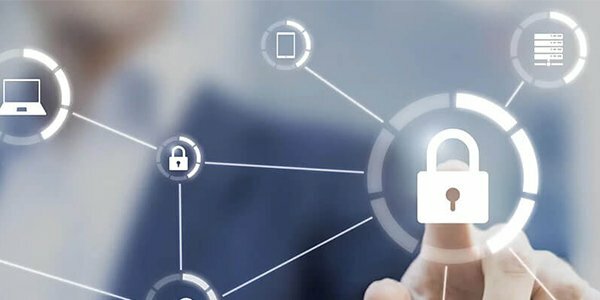 Europe has kicked in GDPR and almost every website whether they have European client base or not is adhering to it. Only recently, MyFitnessPal security breach caused quite a furor amongst the users. In 2017 alone, there were 33,000,000 hacked websites. If you have an insecure website- i.e. which start with HTTP instead of HTTPS, you search engines will raise a red flag to website visitors whether or not clients are required to leave sensitive personal information on your website. If your site is not secured, search engines will push it further down the list and hamper your online presence. We move into the realm of User Experience (UX) and User Interface (UI) now- the whole point of keeping an active online presence is to get the clients to give their business to you. Whether you are providing an online service or product or want clients to visit you offline, no one will go beyond a couple of pages to hunt you down, should they need to interact with you. The number of minutes a visitor spends on your website will impact their online reviews about you, the frequency of their visits if they find you worthy enough will add to your credibility as well as optimize your search engine appearances. Providing an awesome UX/UI is key to your website’s SEO success. 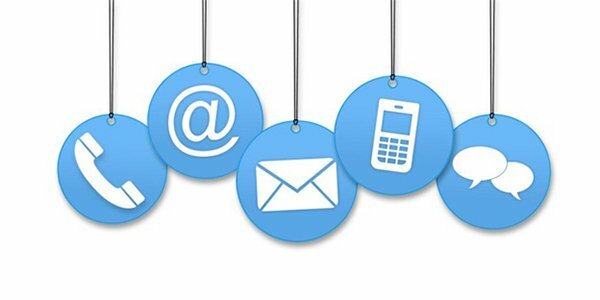 A website with a prominent contact form or a booking process will keep your business open 24/7 even if you are not around to help. 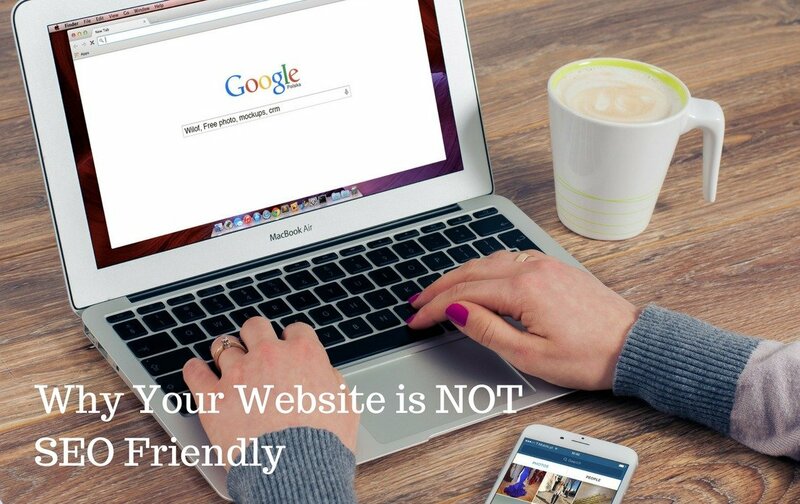 If someone searches for your website during hours when you are closed and they want to book an appointment, a great website will allow them to do this, without you needing to be in the office. I am not the one you would look at when you say the word “coding” because you would have psyched me out. And I am not throwing a hefty jargon your way by saying “XML Sitemap”. I love Google Maps, and XML Sitemap is just one minute job for people like you and me who love Google Maps and its features. XML stands for extensive markup language – literally a format for displaying information on a map called Word Wide Web. 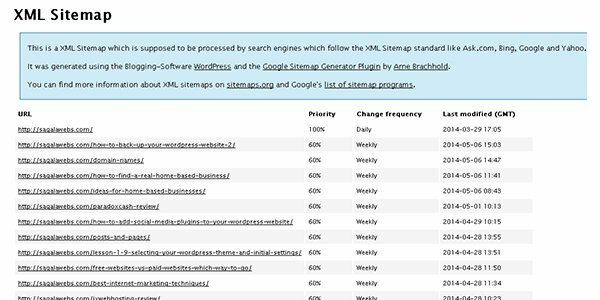 With a sitemap that you could create online using a sitemap generator, you are asking search engines to take a preview of the pages it might want to index for its search in the right format. This helps if you have no way of linking or back-linking content on your website. Our inboxes are full of emails from happy clients sharing how their revamped websites helped them boost their client base and helped them forge a better brand image in the area. A website is an important tool which you cannot do without whether your business is small or large, localized or spread far and wide. As someone who has a considerable amount of debt to pay off to the banks, I completely understand that greenbacks don’t grow on trees- and shelling out another 10k on a new website or revamping an old one might sound like a bad joke more than a viable option. But I am not trying to pull a fast one here- Consider the fact, your website is your online sales representative. And if you were to hire someone to market your business offline, how would you do it? Would you hire someone who is available for almost free, but can not assure you about closing a single sale, or you would hire someone with a proven track record in closing deals and generating new customers? The choice is obvious, and no, you don’t necessarily need to burn a hole in your pocket for a website. 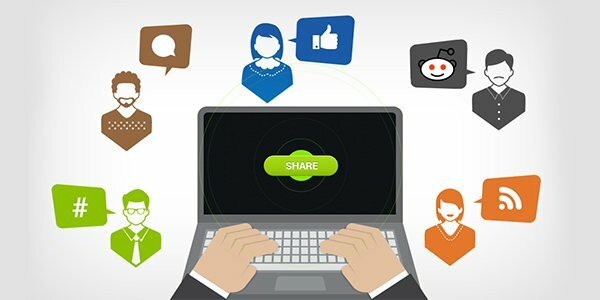 But in today’s time, merely throwing up a WordPress site with your phone number and address is not enough- today everyone expects an amazingly engaging online experience and they will not settle for less because you are very good at what you do despite a shabby looking website or no appearance in search results. If you can’t bear to see something on someone else’s website – too much text, too long to load, not secure, or not interesting, you can not make the same mistakes for yours! Like I mentioned at the beginning of this blog, what we discussed is plain common-sense! Search Engine Optimisation or SEO is not going anywhere. It has become more important than ever. 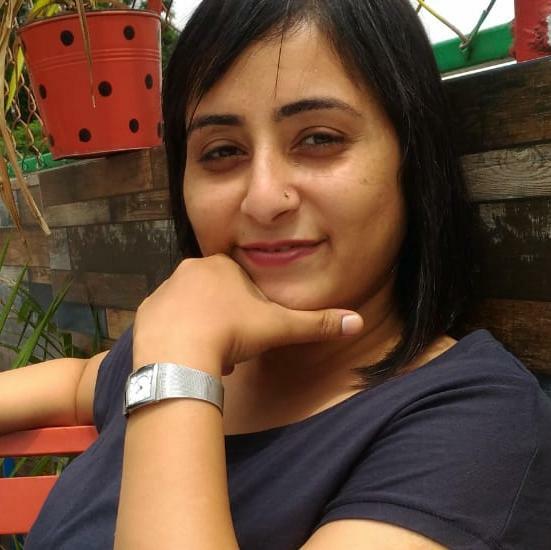 The search numbers have stabilized since 2013 as per the website – Internetlivestats.com and the speed at which the numbers are racing is staggering. 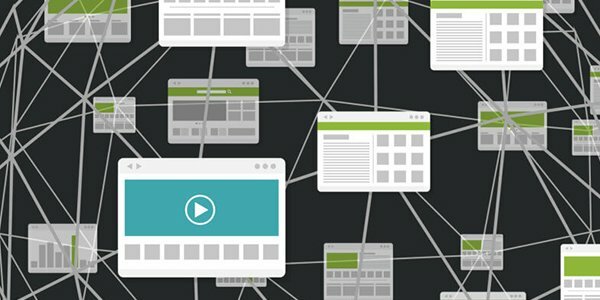 As long as users will continue looking for information through search engines, whether on their mobiles or computer screens, SEO will continue to play a pivotal way in the way traffic is driven to your website. 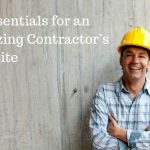 Whether you want to attract new customers or maintain relationships with your loyal client base, a well-designed website could be your most valuable tools for your business in the future. And whether you are a seasoned player or a rookie, you can not afford to make the mistakes listed above. If you want your website to help you position your business and your brand in such a way that it drives tons of business your way, be sure to partner with a web designer with a proven track record of success for your size of company, check them out, read the testimonials, and finalize someone who can balance form with functionality, aesthetics with practical requirements.